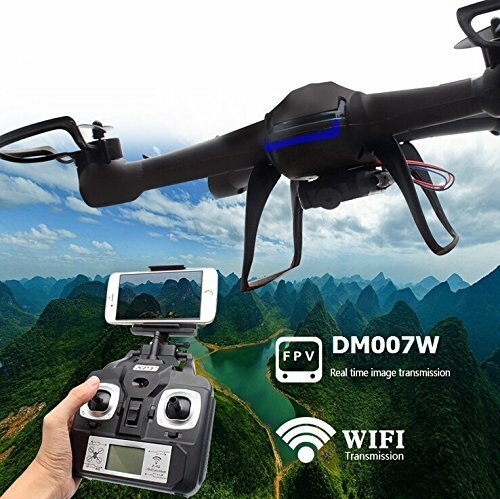 NightHawk DM007W FPV Quadcopter with Built-In Camera and Electronic Compass, WIFI real time transmission for videos and photos between built-in camera and mobile attached on remote controller. 360° Flips including left, right, front flips, back flips. Precise hovering capabilities with the latest 6-Axis adjustable gyroscope technology, with failsafe headless mode.